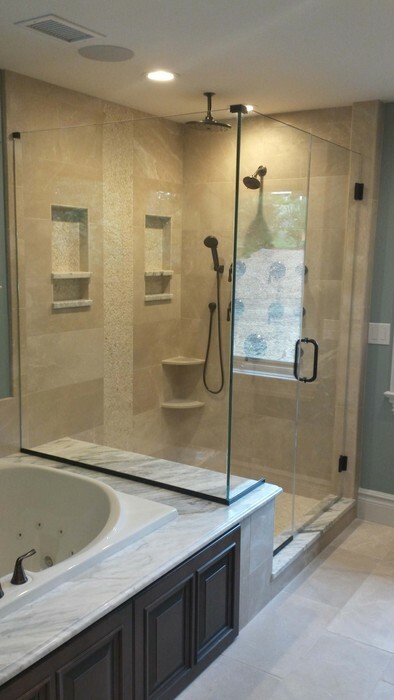 Cutting Edge Glass provides residential glass installation services to clients throughout Northern New Jersey. 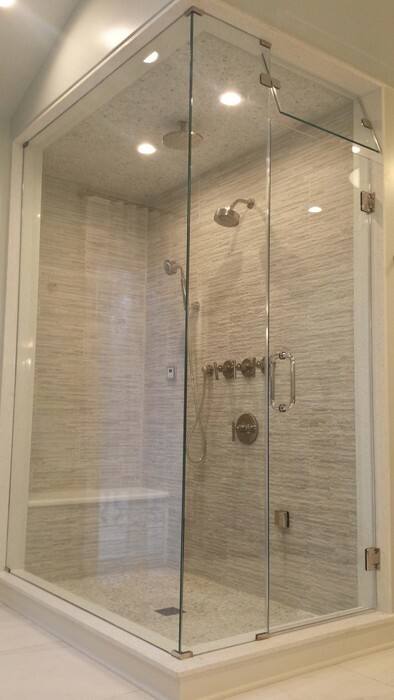 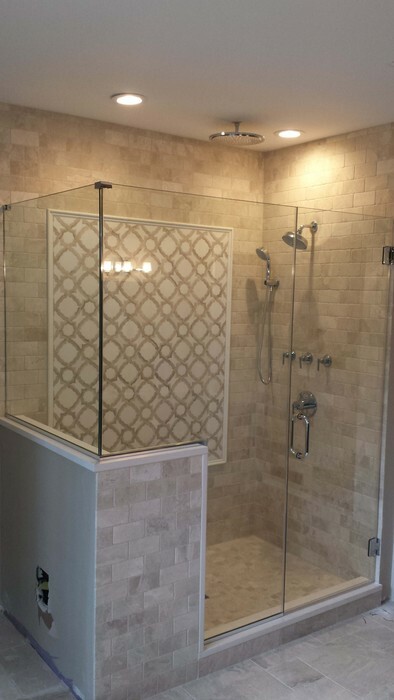 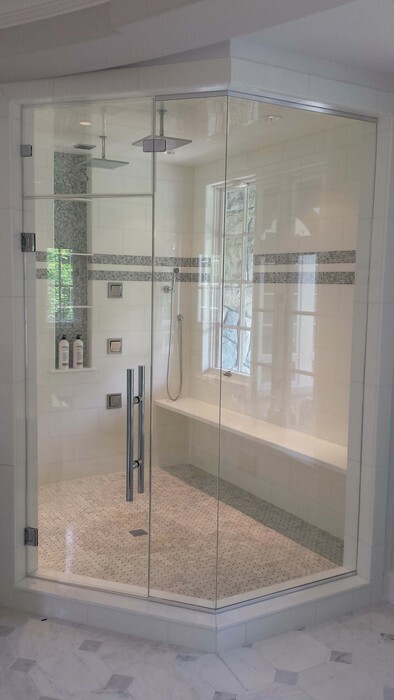 Not only do we provide flawless installation on every project we have completed but we also work with you to create your own sophisticated and tasteful environment with impeccable precision and craftsmanship which results in a breathtaking all glass frameless shower enclosure. 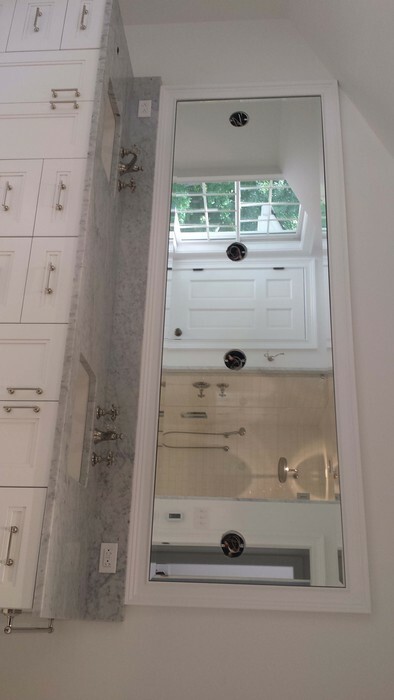 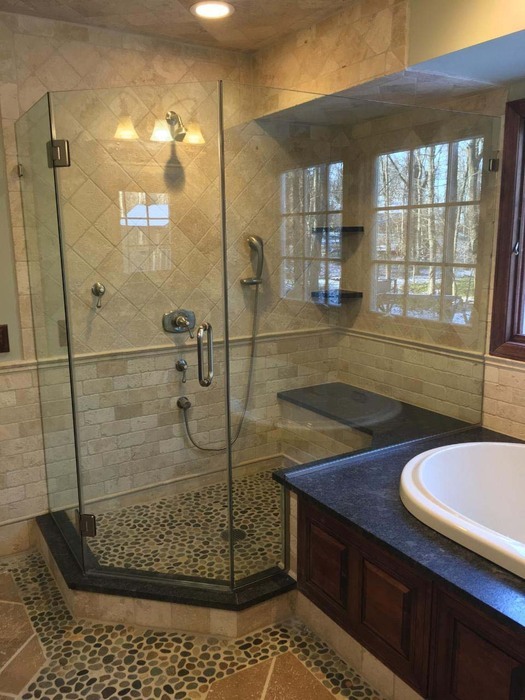 Below you can view many past projects and then contact us at 973.664.9893 with any questions or to set up an appointment today. 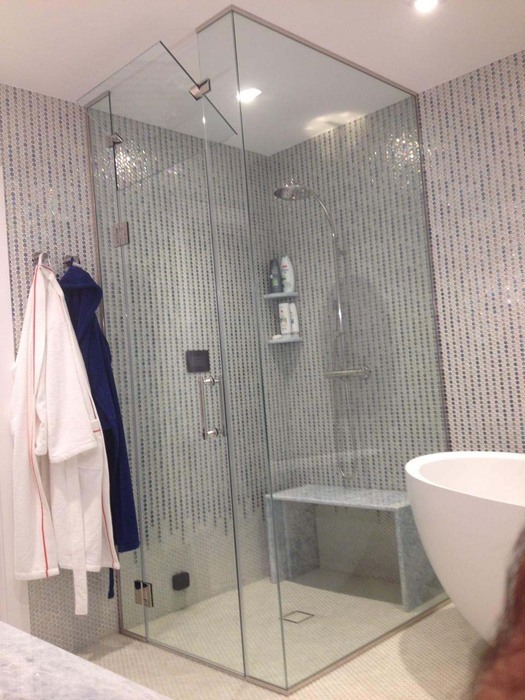 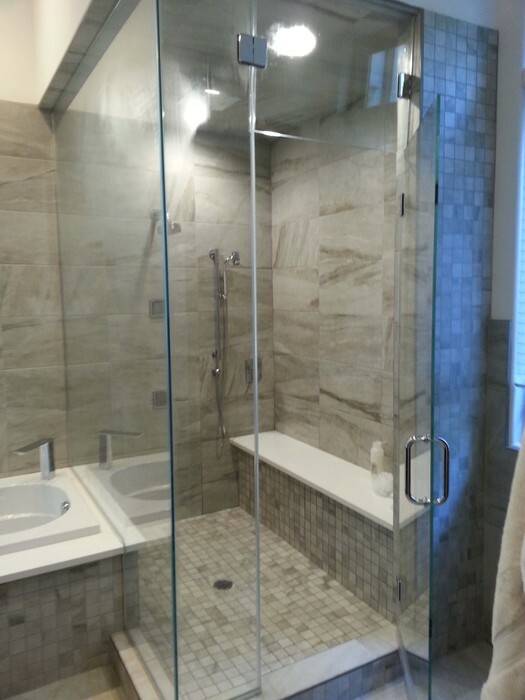 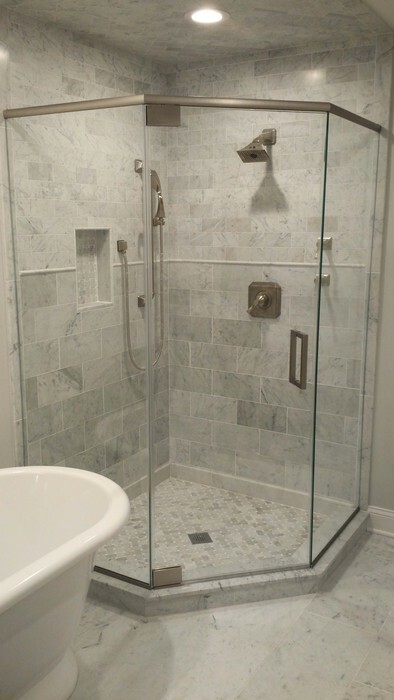 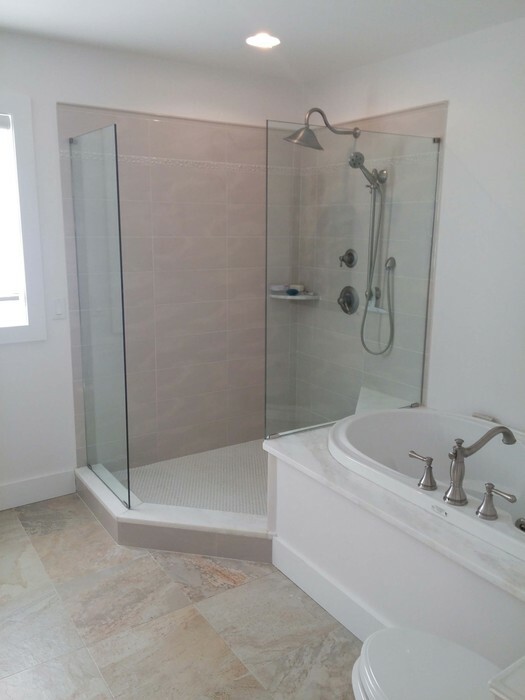 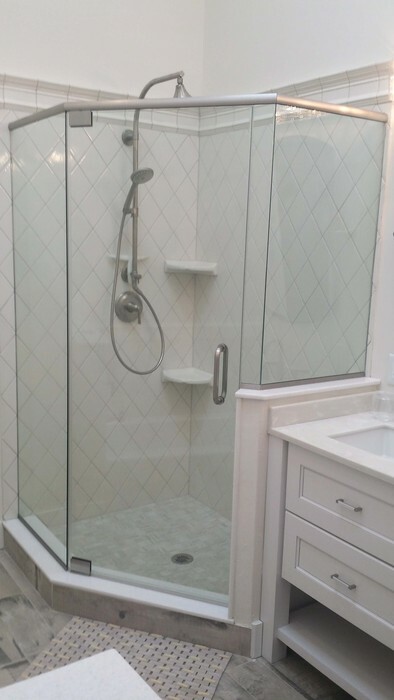 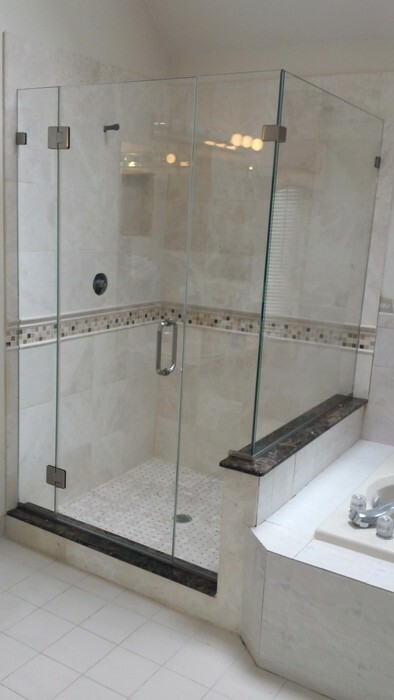 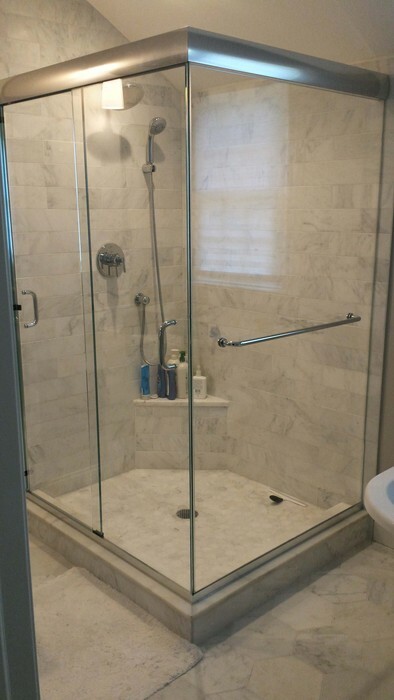 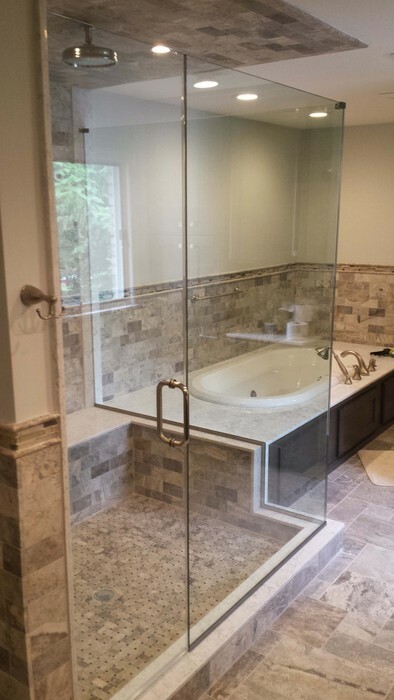 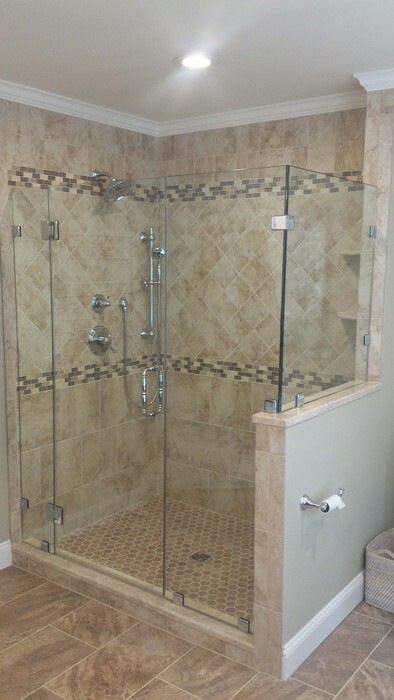 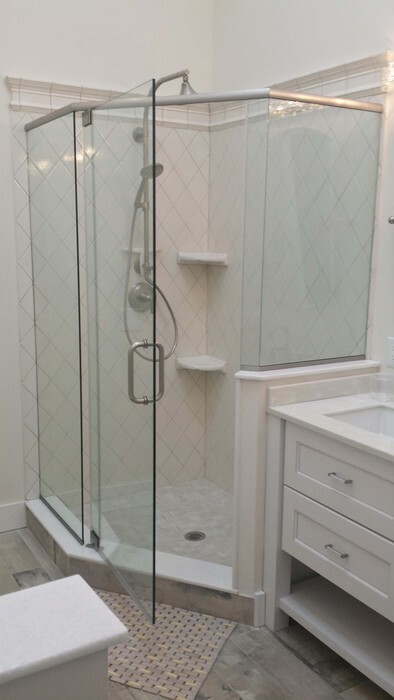 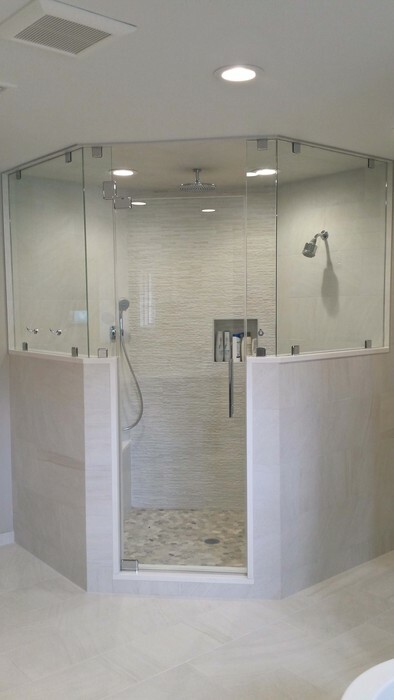 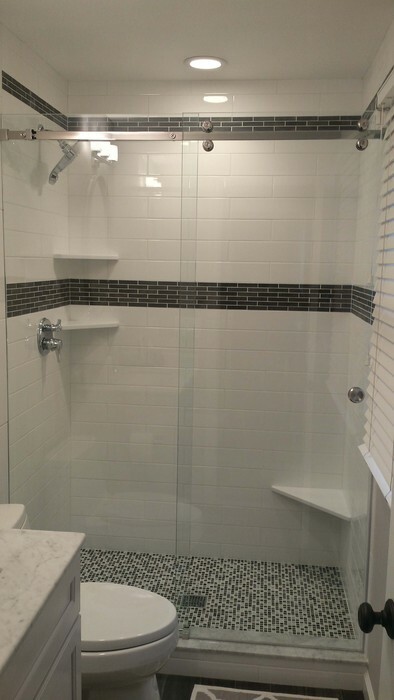 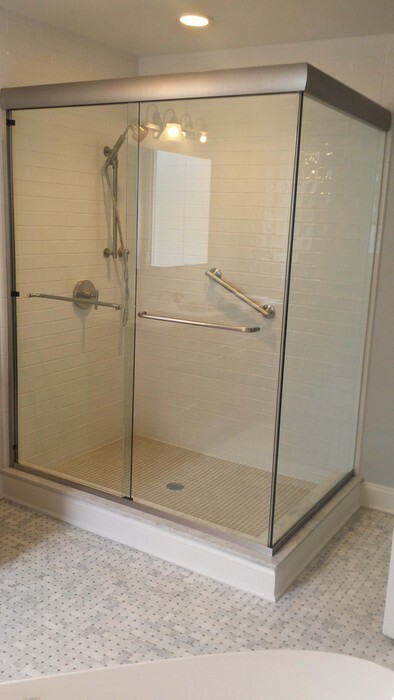 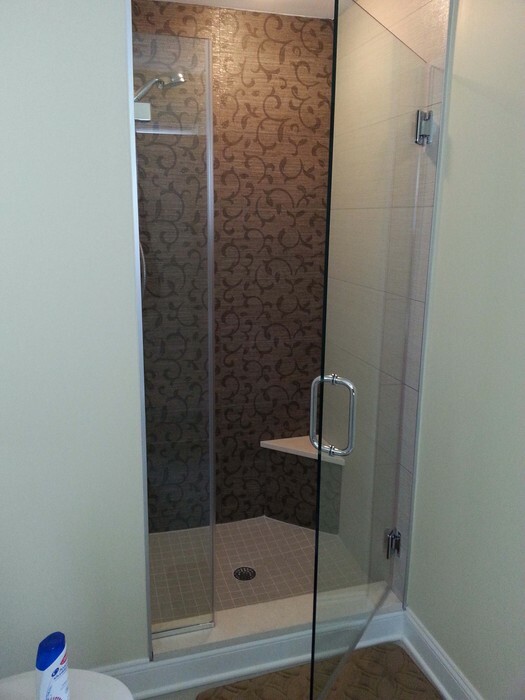 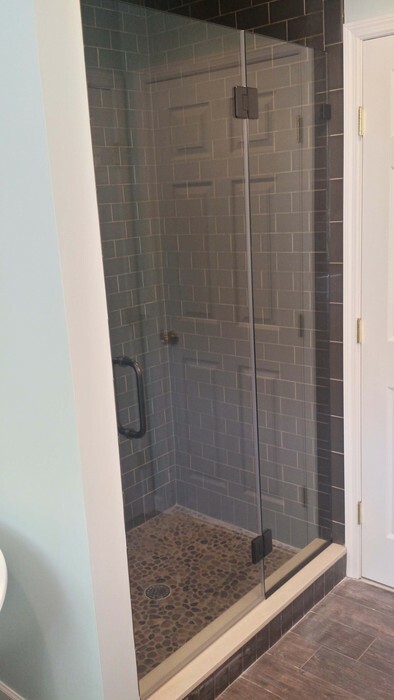 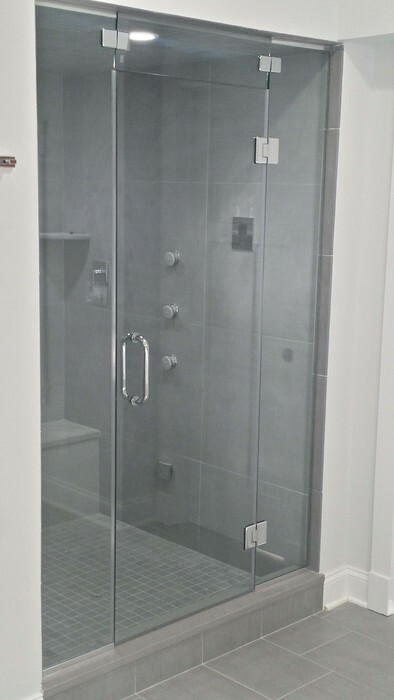 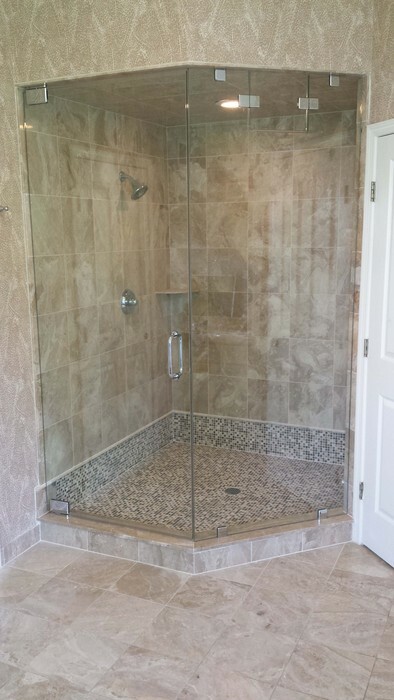 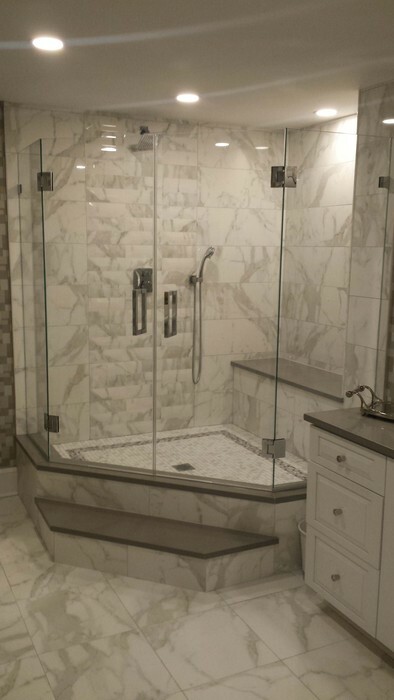 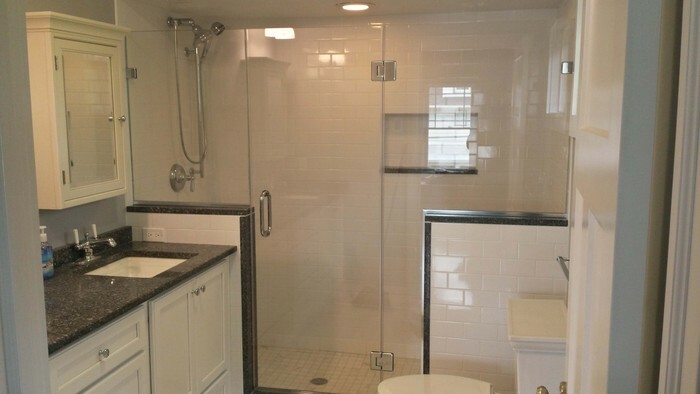 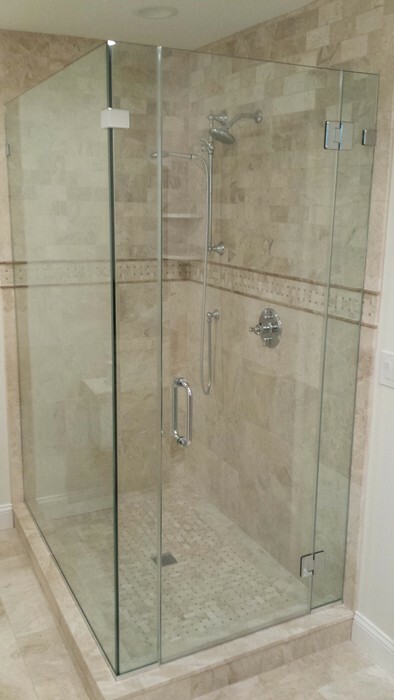 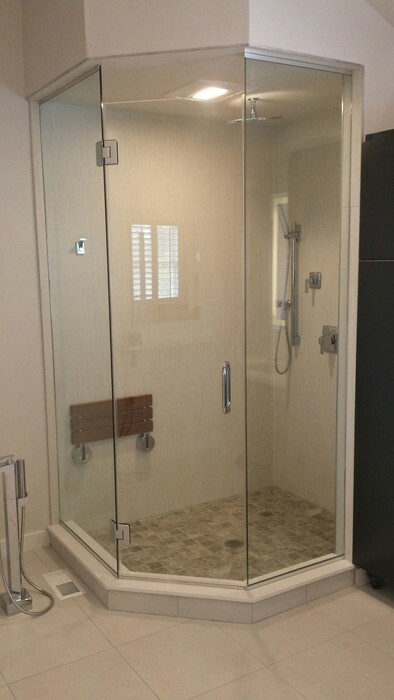 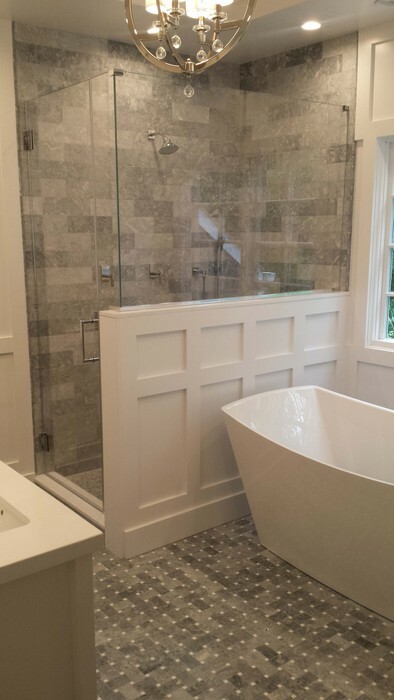 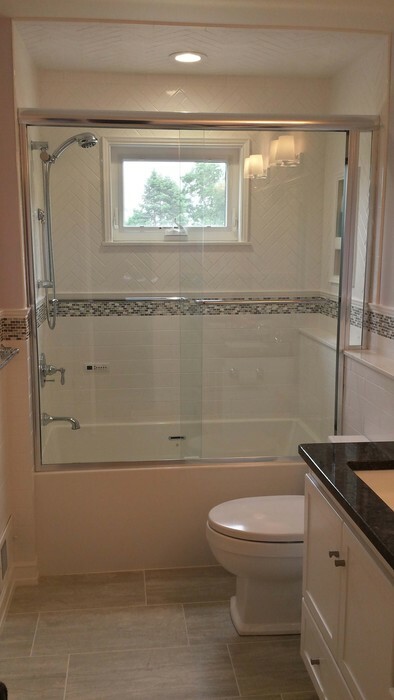 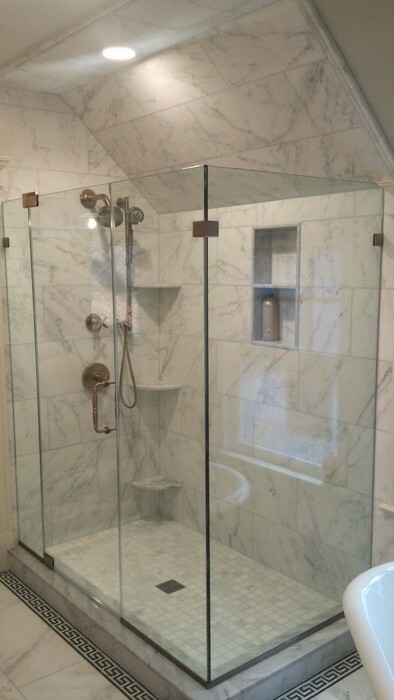 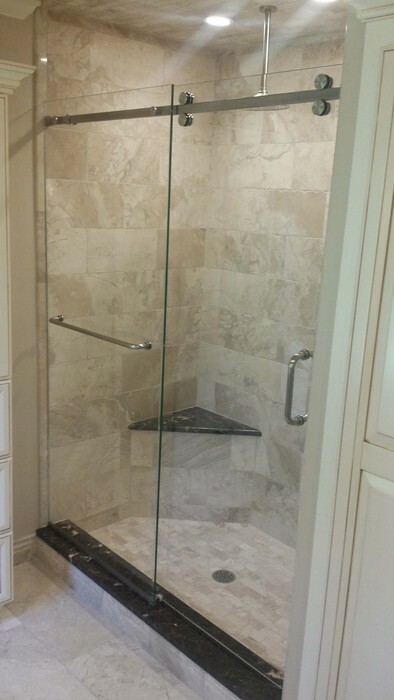 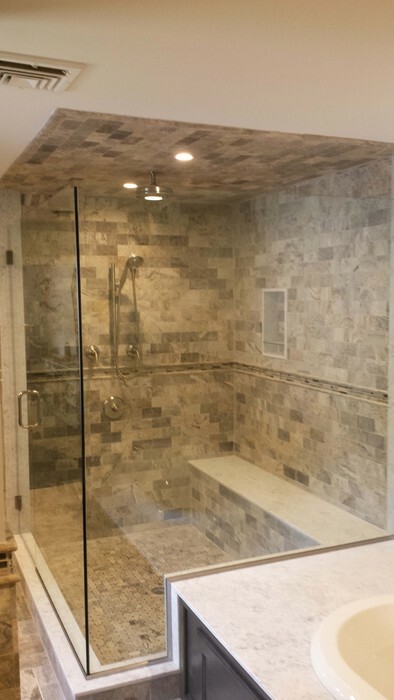 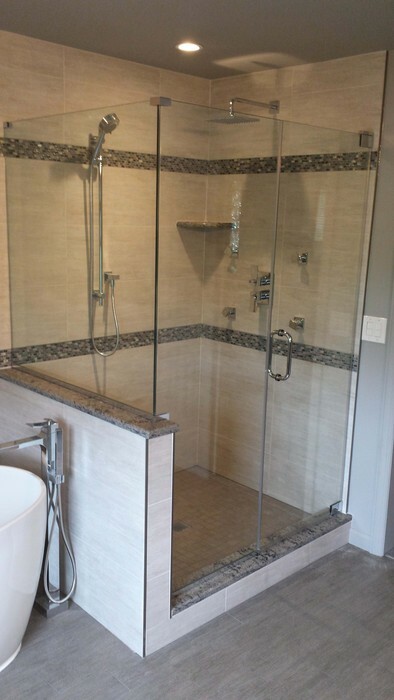 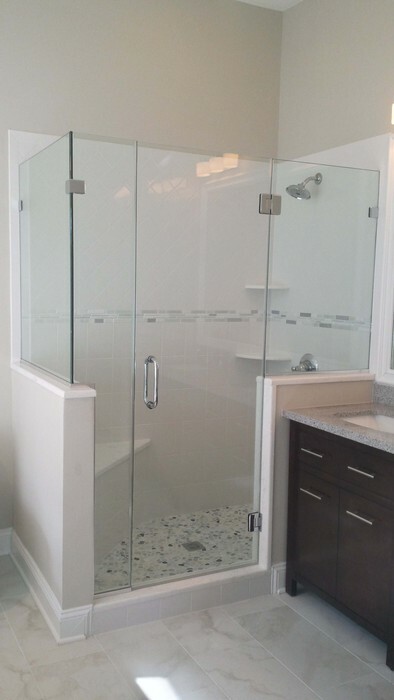 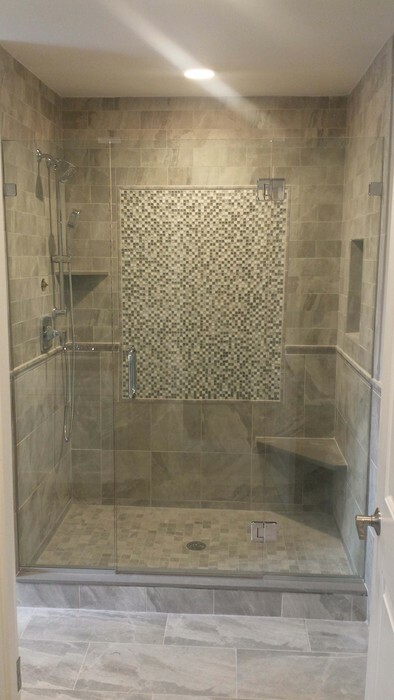 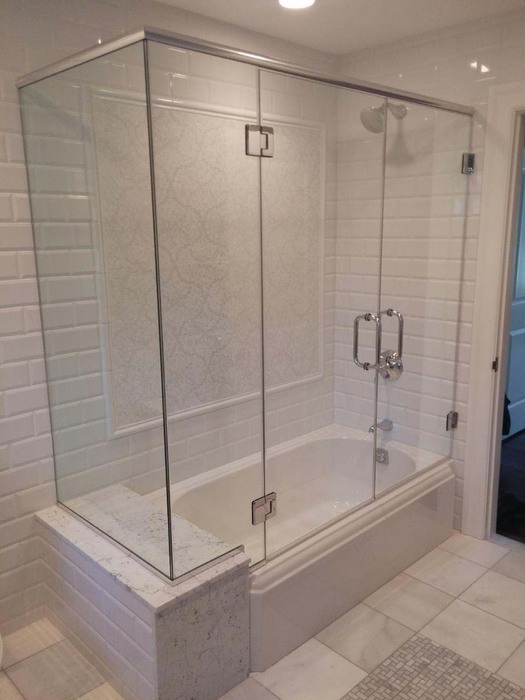 Some of the most important things to know and remember so your shower enclosure will be safe, clean and avoid leaks are the followingUse granite, marble or corian as a saddle over curbs in place of tile. 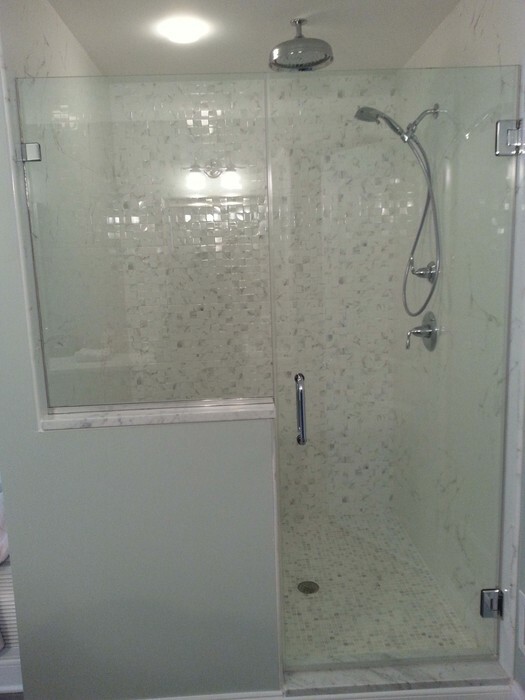 If your glass shower enclosure not cleaned for weeks or months you may get water spots that will be hard to remove or not removable. 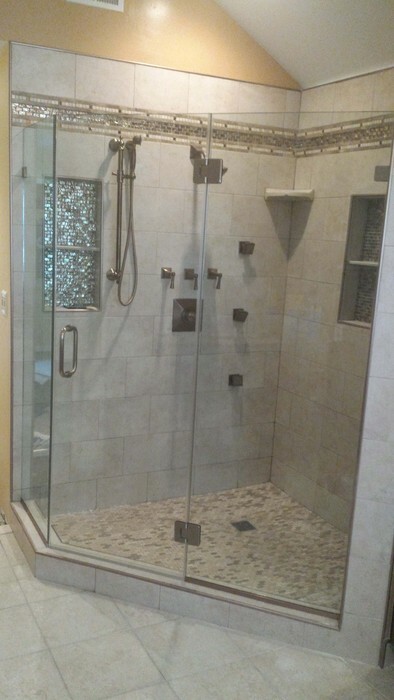 This depends on your water chemistry (each town will be different). 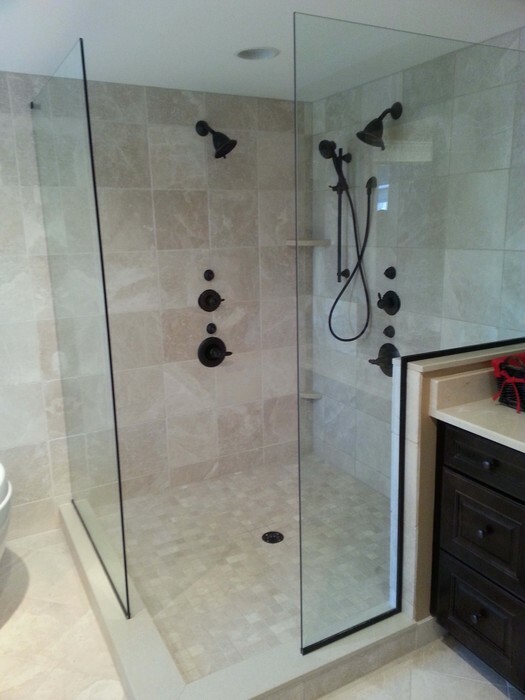 For best results cleaning should be done with a towel or squeegee after each use. 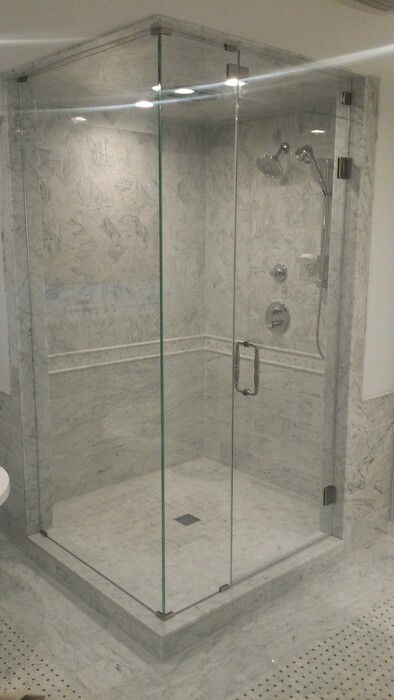 To aid in cleaning glass sealants like ClearShield reduce maintenance and cleaning time to keep your shower looking its best.